Germans are known for their luxury cars more than their performance cars, but that doesn’t mean you can discount the latter. One great example is the 2018 Audi S4 sedan. Sportier than the previous models, the 2018 S4 is built to conquer roadways. The growling engine under the hood can be felt when you start up. The dream is adjourned when you press the pedal down and experience the thrill. With seam curves and smart engineering, you can expect the best handling and drive experience from the sedan. Built quality is very tough and can be pushed beyond limits. With the prices beginning at just $51,400, it isn’t mind-blowingly expensive either. Let us get an insight into the 2018 Audi S4 sedan. The engine speaks for itself in the Audi. The massive V6 turbocharged engine with TFSI technology helps in pushing more power. The engine makes an impressive 349 hp and 369 lb.-ft. of torque. Moreover, it is further connected to an intelligent Tiptronic Automatic Transmission system which delivers optimum power and enhances the overall performance of the car. The car can drag a 0-60 mph in 4.4 seconds making it one of the fastest Audis out there. For a smooth and personally tailored driving style, the car offers you self-selectable driving modes. The modes are Comfort, Dynamic, Auto, and Individual. The special individual mode lets you take the charge and tune the systems according to your driving style. Under the handling domain, you also get Sports Adaptive damping suspension which makes sure of a comfortable ride in all terrains. Cornering capabilities are enhanced by the legendary Audi Quattro all-wheel-drive system which gives you greater confidence. While cornering this intelligent system directs more torque to the outer wheels, increasing grip and increasing performance of the car. All the amenities associated with these packages are premium. The engine specs for all the versions are the same; a 3.0 Liter TFSI V6 motor powers the S4. Some interior facelifts can be witnessed in the Prestige version of S4. 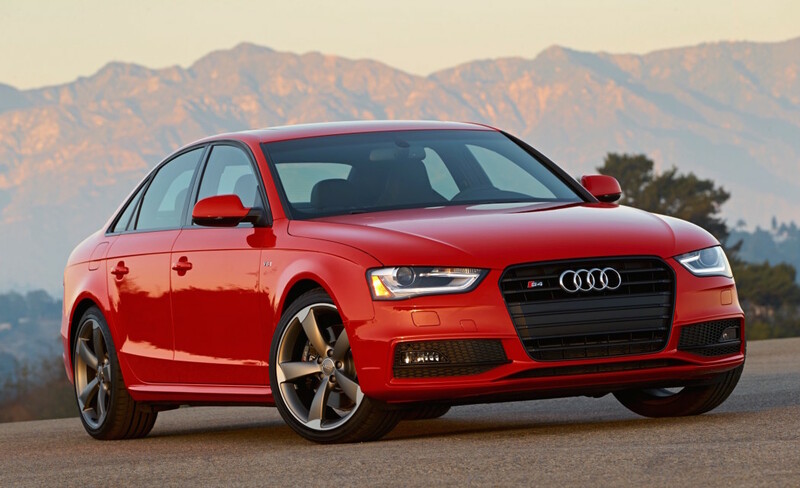 The Audi S4 Sedan MSRP starts at $50,200 for the Premium version and an MSRP of $57,800 for the Prestige version. A plethora of advanced technology is available in the S4. With a range of connectivity and entertainment features, you will surely have a memorable ride in the Audi S4 sedan. A fully digital 12.3-inch virtual cockpit will give you a feeling of a race track on even the most boring streets, complete with countdown options and detailed performance info. The onboard navigation system uses Google Earth imagery to allow you to explore the unexplored without any worry. This display utilizes a system of aspherical mirrors to project information on the windshield. This system was developed to make the driver focus on the road at all times, allowing them to check speeds without removing their eyes from the road. In addition to initiation of emergency measures, blindside monitoring is also provided by Audi pre-sense. The system uses radar sensors and an optical warning to push a warning alert whenever a vehicle enters the blind spot or to the side of the S4. This is achieved by continuous monitoring of road and vehicles surrounding the car. One could say that the Audi S4 comes with a sixth sense. The Audi S4 has very luxurious interiors. Fine Nappa leather upholstery is used to wrap the sporty massage-enabled seats. You can feel a level of chauvinism inside the sophisticated cabin. The steering wheel feels great in hand and is integrated with a variety of buttons for different functions ranging from infotainment control to connectivity options. The interactive MMI touchpad makes it easy to operate the fully loaded display feature. If you are looking to experience German Engineering at its best and that too at a reasonable price, you can try the 2018 Audi S4 sedan. Make the move and feel the thrill of motorsport with a touch of luxury.